We are the supplier and manufacturer of high quality material. Our entire product range is an excellent source of pipe fitting and is corrosive in nature. Unfiltered seawater can cause fouling in pipes and clog heat exchangers. The corrosive nature of seawater requires the careful selection of materials.No matter what type or size of the ship you are on, one of the most important factors when it comes to water filtration and separation equipment in the marine industry is reliability. Reliable equipment reduces down time, protects profits, and ensures the safety of the crew. DM Engg has a proven track record of creating robust and reliable water filtration and separation equipment with the tried and tested designs you need to keep your vessel operating at all times. DM engg FRP strainers are available in corrosion resistant materials and protect cooling circuits and other seawater piping system from fouling. DM engg strainers are perfect for coarse straining to protect downstream components, and our duplex basket strainers can be cleaned without having to take equipment off-line. DM Engg's filtration products can be used in a number of applications, including hydraulic steering systems, deck gear, cargo handling and bow thruster hydraulics. Keeping in mind the diverse requirements of the clients, we offer functionally advanced range of FRP Strainer that are acclaimed among the clients for smooth surface finishing and easy installation. Our entire product range is functionally advanced in nature and requires minimum maintenance. We offer them in varied grades and ensure smooth operations. They are used in petrochemical, oil refineries, and different allied industries. Contaminated fluid enters the housing and is distributed evenly around the filter cartridges/Filter Bags. Filtration takes place from outside to inside or Inside to outside depending upon flow patterns. Solids are collected on the outside of filter cartridges or Inside of the Filter Bags & clear filtrate is collected at outlet. Enriched with vast industrial experience, we offer our clients an extensive range of GRP Strainer that is acclaimed among the clients for durable standards and high strength. Owing to our advanced quality attributes, we offer them in different technical specifications and are functionally advanced in nature. They are performance based and are offered with customized solutions. With the assistance of experienced and dedicated professions, we offer our clients highly durable range of FRP Basket Strainer that are performance based and are abrasion resistant in nature. Our entire product range have smooth surface and are delivered in varied grades. 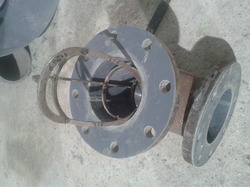 FRP Basket Strainer is durable and reliable in nature. 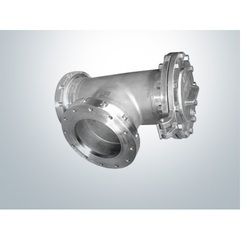 Keeping in mind the diverse requirements, we offer our clients dimensionally accurate range of Basket Strainer that is in compliance with set quality standards. These products are performance based and are delivered as per the preferences. Our entire product range is an excellent source of pipe fitting and is corrosive in nature. 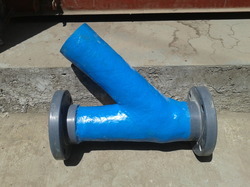 Y-type strainer basically use in water treatment plat at pump suction to trap unwanted particles. Inlet/outlet connection will be flange type and third side may or may not be bolted . We hold expertise in offering our clients functionally advanced range of GRP Y Type Strainer that is treasured among the clients for optimum quality and durable standards. These products are easy to install and are performance based. Owing to its exceptional features our entire product range is used in varied industrial applications. 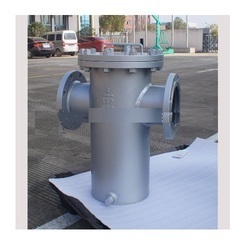 We are renowned names in the industry, offering our client functionally advanced range of GRP T Type Strainer that are treasured among the clients for durable standards and are performance based. They have smooth finishing and are delivered as per the requirement. We offer the entire product range with customized and standardized options. 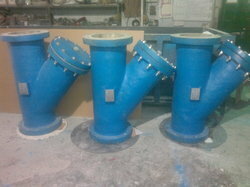 Offering a wide range of Y- TYPE STRAINER to our valuable client. These are made from the high-quality raw material. These are provided in different size . They have high filtration capacity and require minimum power. 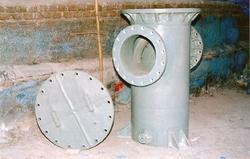 Y-Type strainer is delivered at most affordable rates. Keeping in mind the diverse requirements of the clients, we offer functionally advanced range of FRP Bag Strainer that are acclaimed among the clients for smooth surface finishing and easy installation. Our entire product range is functionally advanced in nature and requires minimum maintenance. We offer them in varied grades and ensure smooth operations. 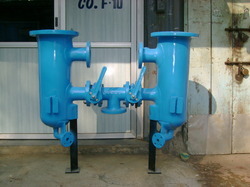 They are used in petrochemical, oil refineries, and different allied industries. 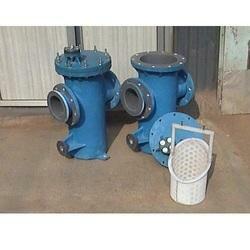 Enriched with vast industrial experience, we offer highly durable range of Duplex Strainer that are valued among the clients for durable standards and are performance based. Our entire product range is corrosion resistant in nature and is easy to install. Owing to our strong logistics department, we are able to deliver the entire produce range in well-defined time.